I am writing to express my sincere condolences on the death of your (wife/son/grandmother, etc.). I was so sorry to hear about your loss/the sad news about your sister. Your dad/brother was such a lovely person/was always kind to me, etc. I have so many wonderful memories of your dad. I know how much Peter meant to you. It’s never easy to lose a parent. I want you to know that we’re here to support you. I’d like to compliment you once more by the posts you’ve been done recently. Expressing sympathy especially during bad moments isn’t easy at all. We need to find the right thing to say or the best words to express our feelings according to the circumstances. Condolences, sympathies, memories are among the best ones. Thus, I’d say how much you mean to us and I hope you can stay with us for many years to come. Congratulations! Thanks. Thanks a lot. It was fantastic, I really enjoyed. That’s really very good, Good Job. i personally use in formal contexts: what a great news!, nice to hear that!, or glad to hear that! and in more informal ones : awsome, fantastic, great!, but that’s it. it would be nice if you could enlighten us. Ah, Patricia, I think you’ve misunderstood the word ‘sympathy’ – it’s a false friend in some languages, e.g. Italian. In English, sympathy is only for bad things. Thank you very much Liz Walter! I’ve been looking for this topic communication for a long time. Always lost for words because I don’t like to use the word “lost’ . It 2 am be personal. I don’t feel the soul is lost, but ever present in the loved ones life. I wish I’d seen this last year when my dear Maggz passed. I was stuck for the right words to say. Marshal in sunny Port Glasgow. It’s so useful to have some words and phrases for those times when someone shares sad news with us! I am a teacher and I really appreciate this. It has added to my Web. Thanks a lot! this is very useful. I’m coming in late on this subject but I’ve just got to comment. In every situation I’ve been in and from what I’ve read, America is scared to death of death. I know I was before my 21 yr. old son died. No one really knew what to say to me. They either avoided me, said something appropriate, attempted to say something and failed. Let me set the record straight because I know by experience what the grieving want to hear. If you know what you are going to say is absolutely appropriate, please say it. If you have no idea if what you are saying or you haven’t researched it, experienced losing someone or you don’t know what to say, please, by all means just say, “I don’t know what to say.” Then ask about or just comment about their loved one but keep it simple. Example – “I’ve often thought he was so handsome.”, “That is a wonderful picture of him.” Then, and this is the most important part above everything else, just listen. Just sit with the grieving and just listen to them go on and on and on about the loved one they have lost. Trust me, it will mean more to them than you will ever know. Just listen… There’s more but I’ll stop here. I just lost my 62 yr old brother [unexpectedly], and am shocked by the words an acquaintance of my husband’s left. “Sorry to hear. Life goes on” words left only hours after my brother’s passing. I felt this sentiment to be cold and completely devoid of compassion. I’d very much appreciate your thoughts, thank you. Yes, I agree, that’s far from tactful. I once actually heard ‘You win some, you lose some’ (!). But I think people are strange around death and perhaps don’t mean to be hurtful. Thank you, Liz, for taking the time to share your thoughts. Best to you. God bless you and help you to surface ! But I will add that the most important is to be sincere : the person will feel it, whatever you will say. For me, it isn’t difficult to explain my feelings and I usually know how to say. 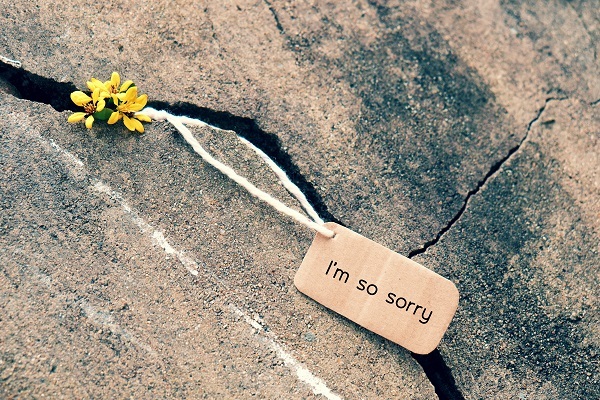 Saying “I am sorry”, with all your sympathy, is from a distance the best way -for me, whatever. Do share it to my timeline on facebook. Thank you!